Gino Cesario is Director of Human Resources at Decron Properties Corp. He is responsible for all people and culture elements of the full employment lifecycle including all talent acquisition and management functions, training and organizational development, HR technology, payroll, benefits and compensation, environmental, health and safety, office administration and strategic planning. 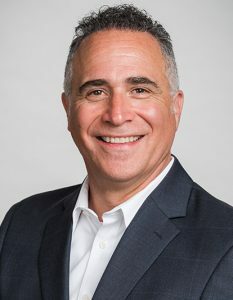 Gino approaches his work at Decron through a systems and design-thinking perspective to ensure there is individual and organizational alignment with the company’s objectives. Gino has previously supported domestic, international, private and public organizations at varying stages of growth in multiple industry sectors including real estate, technology, manufacturing, aerospace and defense, consulting, financial services and consumer retail. In addition to his core skillset in Human Resources he has managed other staff functions including Information Technology, Quality, Customer Service and Facilities. Gino earned a master’s degree in Organizational Development and a bachelor’s degree in Industrial/Organizational Psychology. He is a US and EU dual citizen, certified Six Sigma green belt, licensed California real estate broker and former building contractor. Gino resides with his wife and two sons in the Los Angeles area where he was born and raised.